Emma Smith is a professional award winning makeup artist and tutor, with over 15 years of experience within the beauty industry. She has a multitude of qualifications and registration with the teaching council of Ireland. Emma is very passionate and creative and has a love for Makeup Artistry. At the age of 15 Emma started working as a hairdresser, whilst training as a hairdresser she realised she loved the more creative side – such as upstying, colours and creative cutting – and she excelled in these areas. She then went on to study Make Up Artistry, Beauty Therapy and Complementry Therapies for five years. In her first year, Emma won an award for student of the year, which was judged on a creative fashion look, covering all aspects of hair, makeup and costume design. In her 2nd year, she won the prestigious ITEC Student of Year Competition of Ireland – for Fashion and Glamour Makeup. On completion of her five years of study she recieved ITEC and FETAC Diplomas in Fashion and Media Makeup, Beauty Therapy and Complementry Therapies – and she then decided she would love to share her passion and creativity with others in the form of teaching. Emma recieved her FETAC Train the Trainer Certificate, and Training to Train Certificate, and started to teach for the ETB in Balbriggan and various other colleges. She then went on to study in NUI Maynooth, where she then gained a degree for Training and Continuing Education. During this time, she also worked for major brands in Brown Thomas and on various Fashion Shows and Photshoots, aswell as freelance work. Emma has also worked in the TV industry for TV3 and Miss Ireland Pagents, to name but a few. In 2015 Emma decided to set up FX Makeup Academy, as she wanted to bring her own unique style of teaching and courses to the industry. Sophie is a fully qualified professional makeup artist and tutor. She has over 6 years experience in the industry. Sophie studied makeup artistry and received a distinction in her ITEC Diploma in Fashion, Theatrical, Media and SFX Makeup certificate. Throughout, her time studying Sophie took part in different working aspects within in the beauty industry to further her experience. Sophie has worked for many different brands within the beauty industry. Sophie worked for the company Estee Lauder where she trained and worked as a skincare consultant for Clinique. 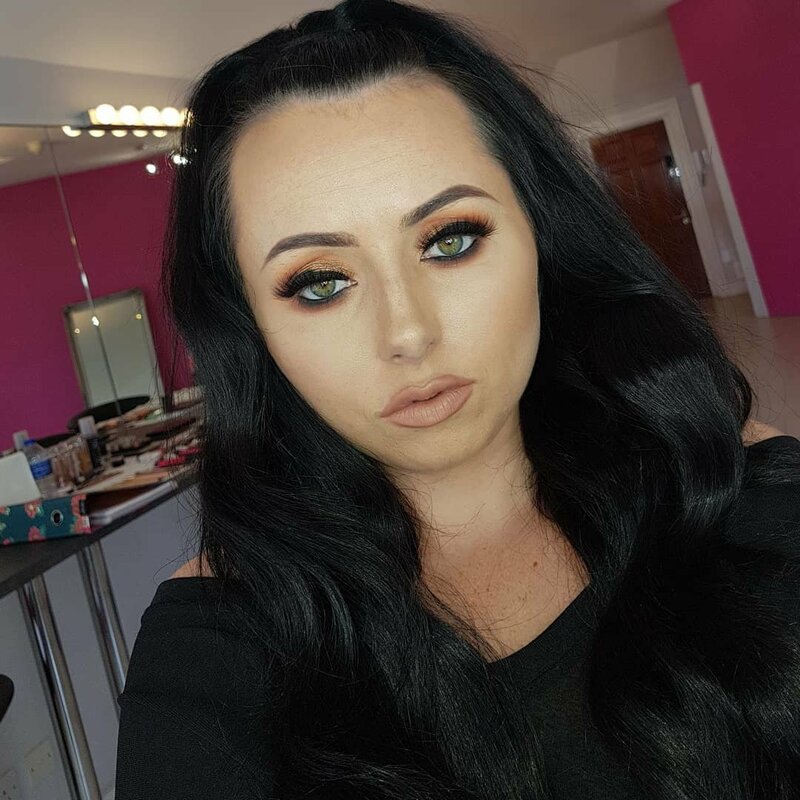 Sophie worked for Inglot in the Inglot Pro Store where she was a makeup artist and received Inglot training in makeup artistry along-side her college qualification. Sophie has always been passionate about makeup and beauty but always wanted to train and teach people in makeup. Sophie went on to study in the National University of Ireland, Maynooth where she received a 2:1 degree in Continuing Education and Training in Adult Education. After receiving this award Sophie trained alongside Emma Smith; the owner, director and head tutor of FX Makeup Academy and became an in-house and ITEC registered tutor working for FX Makeup Academy. Sophie now works as a tutor for FX Makeup Academy. Sophie is also a qualified HD Brow stylist certified by High Definition Brows. Sophie has also completed hair styling and up-styling courses trained in GHD curls, pins curls and bridal up styles; to add alongside her other qualifications. Sophie was involved in the Irish Beauty Show in the RDS in March 2016 and in the Professional Beauty Show in the RDS in September 2016 where she created different character looks that represented her training in advanced makeup and special effects but also represented her style of makeup; creativity and individualism. Sophie has worked as a makeup artist on photoshoots, in pageants and on fashion shows. Sophie was involved in a charity fashion show in the Wright Venue where she won an award for best look in a category labelled character/SFX.